Don’t Miss Anything at Walt Disney World This Holiday Season! 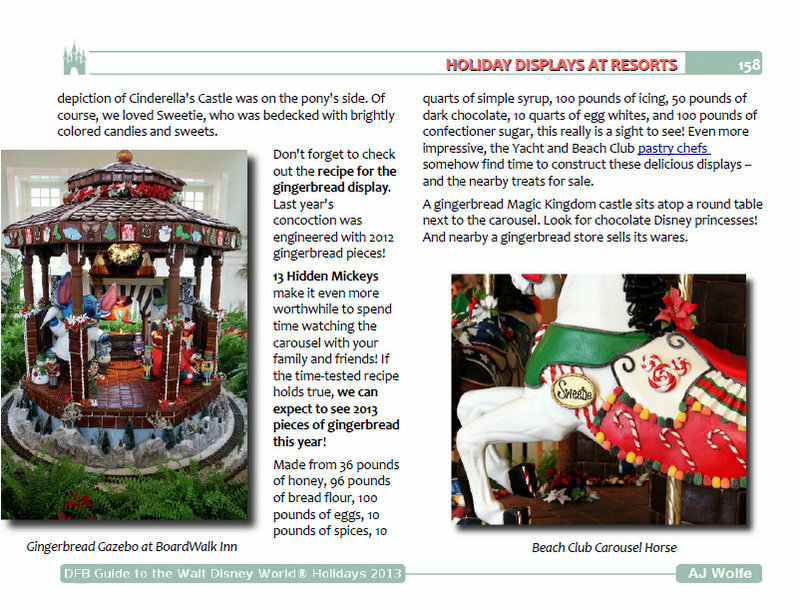 NOW AVAILABLE: The DFB Guide to the Walt Disney World Holidays, 2014 Edition! Click “Download Now” to get your copy today! 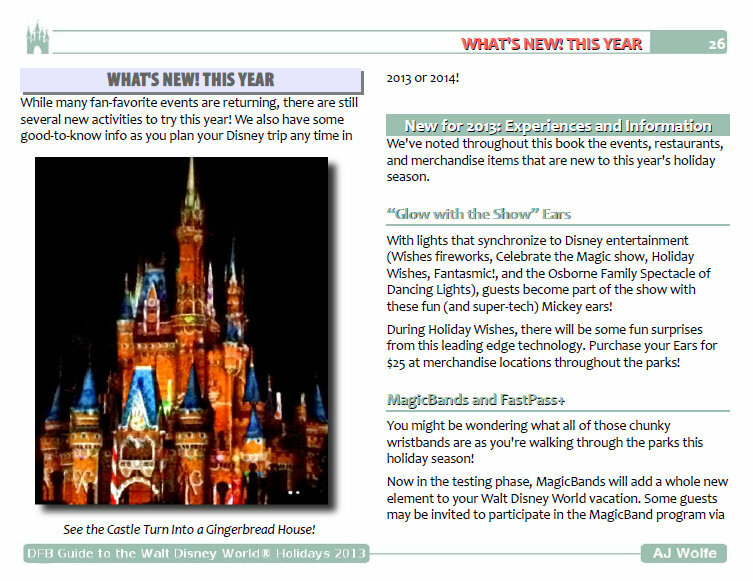 The Holiday season is packed with magic: Holiday meals, special events, and seasonal shows, for starters! How will you see all the attractions, save money, AND take in the extra festivities in your already jam-packed vacation? We’ll guide you through all the holiday events, activities, and dining so that you can get the biggest bang for your buck in Walt Disney World! 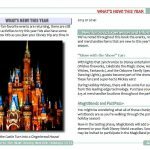 The DFB Guide to the Walt Disney WorldAi?? Holidays e-Book includes everything you need to know! With 306 pages of details and over 250 color photos, you can plan ahead and get right to the fun. There’s lots going on in Disney World this holiday season — make sure you have access to all of it! The Holidays are the Busiest Time of the Year in Disney World. Arm yourself with years of experience, including tips to avoid the crowds and where to eat when the restaurants are booked solid! Wondering where to dine for a holiday meal? We’ve got information on holiday meals and menu additions right at your fingertips. Choose the events, shows, activities, and meals that are most important to you — and create a strategy to experience them all. Don’t come home and realize that you missed an activity that would have been a memorable moment for your family! Don’t Waste Your Money — Or Your Time — This Holiday Season! You’ll have instant access to details about every holiday event and activity in Walt Disney World, including event information, prices, and photos. We even have a section dedicated to ways to SAVE this holiday season! Time is money on a Disney Vacation; get the most out of both! Learn Tips to Avoid Endless Lines and Enjoy Seasonal Celebrations. Each year the seasonal events get more and more crowded, and it becomes more difficult to simply show up and try to see everything. Don’t get shut out of popular events, and don’t wait in winding lines! 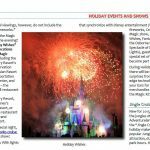 We’ve had years of experience with Disney World’s holiday season, and we’re excited to share our most exclusive information. Remember, if you only have a few days (or less) to spend at Walt Disney World, you want to be sure you’re making the right choices. 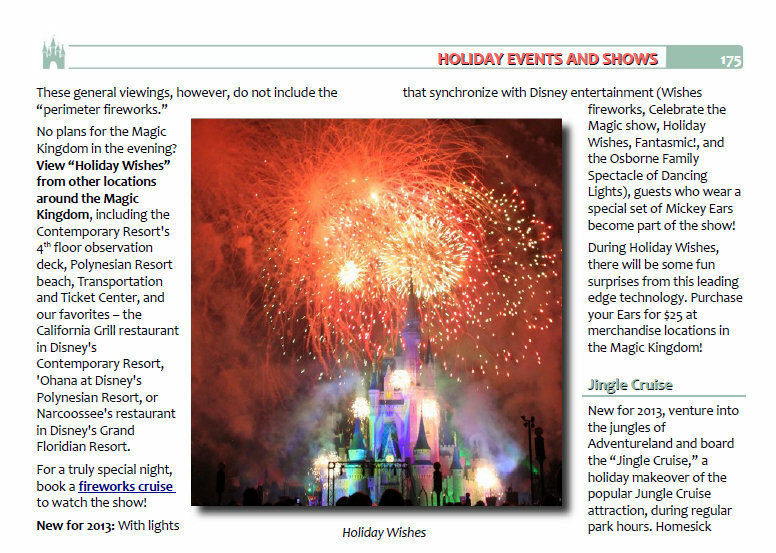 We’ve included in the DFB Guide to the Walt Disney World Holidays e-Book a full breakdown of the restaurants that we recommend — and information on every restaurant offering a special holiday meal! This extremely valuable, exclusive resource is priceless! Use it on your mobile device when you’re at Walt Disney World to see what restaurants may have last-minute availability! You can get the book immediately and get started right away. This is critical as many seasonal events do sell out early. The faster you get the information, the faster you can book your tickets and dining events. You can read it on your smartphone or iPad, which are much easier to carry into the theme parks than an over 200-page book. Click here to see instructions to get the book on your iPhone, iPad, tablet, or Android device. The format includes a click-able Table of Contents and click-able links to invaluable web resources. You can search the text of the book electronically, instead of wasting time flipping through pages. I feel that 100% satisfaction is a must, and digital products are easier to return than physical books. If you’re not satisfied, just send me an email within 30 days and I’ll refund your money, no questions asked. cheap cialis and viagra. birth control pills online. 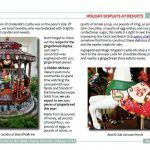 If you don’t feel the DFB Guide to the Walt Disney World Holidays is worth the price, just let me know within 30 days and I’ll refund your money. I’m confident that you’ll be thrilled with the guide and get many times your investment back in time-savings and vacation enjoyment. AJ Wolfe has been writing about the food at Disney World for years, which represents the culmination of over two decades of research. She writes The Disney Food Blog, a daily blog all about eating in the Disney parks and resorts, which has been recommended by The New York Times, Redbook Magazine, MSN.com, the Orlando Sentinel, the OC Register, and more. AJ has even been interviewed about Disney food on National Public Radio and on live network TV! She’s also written the successful DFB Guide to Walt Disney World Dining e-Book (see reviews below), which has been praised by thousands of readers and recommended by the Orlando Sentinel’s Kristen Ford, the Unofficial Guide to Walt Disney World’s Len Testa,AllEars.net’s Deb Wills, WDW Radio’s Lou Mongello, and Hidden Mickey Guide’s Steve Barrett, among others. Tens of thousands of people use AJ’s Disney dining advice every day, so you can feel confident that your plans are in safe hands. A full chapter on what’s new this year! “The book is easy to navigate, fun to read, and incites Pavlovian responses with its mouth-watering descriptions and images of Disney dishes. If you’re heading to Disney World, you really should make a dining plan as part of your preparations. TheDFB Guide is a comprehensive, invaluable plan-making resource.” peut on maigrir avec dulcolax 2014.